Note: I’m in Black Mountain NC this week, doing some video taping on personal evangelism training, so this week will have some guest articles. 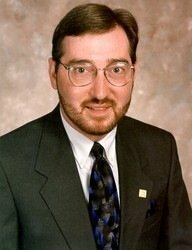 Today’s Guest Article is from Jeffrey Johnson, author of Got Style? Personality Based Evangelism, who recently did a blog book tour (see related links at the end). In nearly twenty-five years of ministry, I have heard repeatedly preached and presented that an individual Christian needed to know their spiritual gifts in order to be effective at sharing their faith. That seemed to me to stifle the energy and enthusiastic a new believer brought to the conversion, especially if they are not the much biblically literate or historically churched at the time of their commitment to Christ. I came to the conclusion: it’s personality. Though spiritual gifts can enhance a person’s witness, they are not a requirement to be a witness. It seemed to me that the early church did effective evangelism for decades, actually seeing larger scale conversions than we have witnessed today and without the benefits of the lists of or training about spiritual gifts. It was centuries later that lists were widely disseminated for comparison purposes. When the gifts are presented in the Bible, it is always in connection to building up the Body of Christ, not reaching people outside the established Church. This false premise of the relationship of evangelism and gifts needs to be replaced with better understanding of witnessing. Surprising as it might sound, the term “witnessing” is not a scriptural term. Being a witness is entirely scriptural. Witnessing is something you do. Being a witness for Jesus is something you are. Witnessing is a verb, a mechanical process. Being a witness is a noun, an organic reality. What qualifies you to be a witness for Christ is spending time with Christ. t this point, you may be aware of an assumption I make about evangelism in general: I believe there is some point in time when a person makes a conscious decision to follow Christ. This can happen in any Christian tradition or outside all Christian influences. The decision may happen suddenly, as in Paul’s case, or it may happen gradually, as in Timothy’s case where he grew up with a believing mother and grandmother (2Tim. 1:5). However it happens, becoming a disciple of Jesus is something people choose and accept rather than something that “just happens” to them from the outside. I believe that people come into God’s family by their own choices, not the words or choices of others. God has no spiritual grandchildren, just daughters and sons. Since that is the case, every person needs an opportunity to make that decision. Our evangelistic efforts give them that opportunity. How much Bible do I need to know? Growing up in Christ and mature use of the gifts does include acquiring some knowledge of the Bible. When people come to faith in Jesus Christ, their biblical literacy and knowledge vary widely. But, they all have a natural inclination to somehow share their new found faith. Expecting people to wait to share their faith until they have a general, adequate understanding of Scripture is problematic in two ways. First, who gets to decide what is adequate? Second, learning Scripture basics take time. And if people have little or no knowledge of the Bible when they come to faith in Christ, they might wait months or years to build that foundation. In the meantime, the energy and enthusiasm inherent in their conversion becomes stifled; passion wanes. New believers often become only “hearers” of the Word and not doers (James 1:22). New believers generally have twelve people in their spheres of influence who are not yet believers. Long term Christians have about four on the average. Taking new believers out of their spheres of influence for any length of time substantially limits the reach of the Kingdom. Start Sharing Your faith Today! From a Biblical point of view, however, there is no time limit when it comes to sharing the Gospel. From the moment people experience salvation, they become witnesses, expected to share their faith experience, to introduce others to Christ. Andrew shared his encounter with Christ and with his own brother Peter. The next day, Philip – within hours of meeting Jesus – introduces his friend Nathanael to Christ. Studies show the closer one’s conversion to Christ is to one’s conversation about Christ, the more often one will share one’s faith over the course of time. The greater the lapse of time between eternal conversion and eventual conversation about it, the less likely people are to evangelize and evangelize regularly, if ever. Some studies say that as many as 50% of believers have never shared their faith with another person. What would account for this? Perhaps if we are honest, we will admit that the more leadership roles people take on in the church in order to “use their spiritual gifts,” the less time they have for connections with people who are not yet Christian believers. To hear more about this, check out Jeff’s book, Got Style? 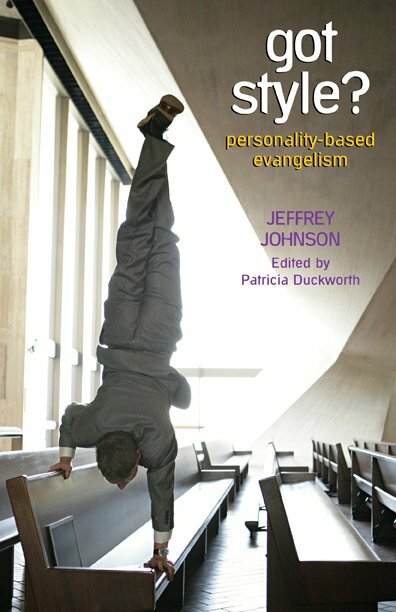 Personality-Based Evangelism at www.JudsonPress.com or directly from Amazon.com. It is turning traditional evangelism on its head. Why can some people share their faith so well?